2014 was a huge year in the music industry with new artists making their debut as well as some just getting back into the groove. Girl power seemed to be the running theme throughout the year with artists like Ariana Grande, Iggy Azalea and Selena Gomez who blew audiences away with their live performances. Of course, we can’t forget Taylor Swift releasing her fifth album, “1989,” in late October, which quickly (and I mean, very quickly) became the top selling album of 2014. But enough about last year; 2015 has some musical surprises up its sleeve as well. Fall Out Boy is a band that most of us started listening to in middle school, and they sang us through our awkward years. They had a bit of a hiatus until 2013 when they released “Save Rock and Roll.” On Jan. 20, they released “American Beauty/American Psycho” and go on a U.S. tour during the summer of 2015 and make their way over the pond to the UK for a small tour there in the fall. 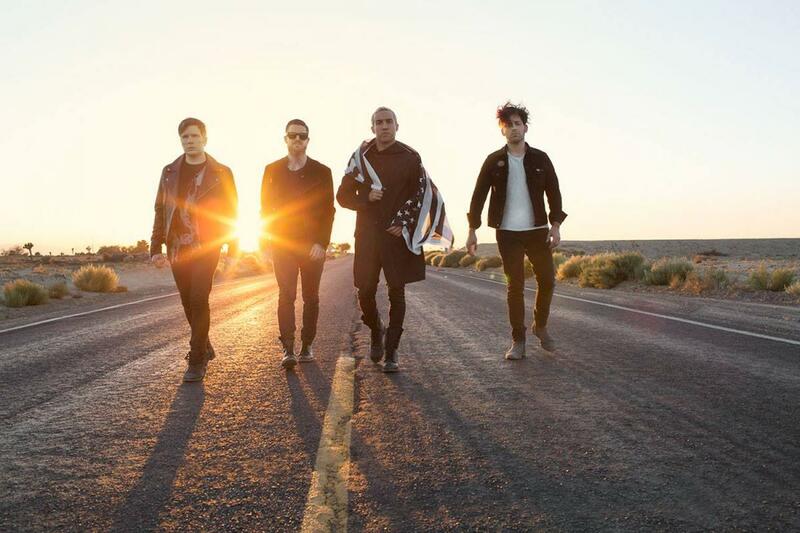 If you want a little glimpse into the album, their single “Centuries” is out on iTunes. “Channel Orange” was an album released 2012 by Frank Ocean. We all fell in love with his raspy vocals and amazing range. It’s 2015, and we’re still waiting for a new album to put on repeat. Billboard’s “30 Most Anticipated Albums of 2015” seems to think this will be the year we hear from Ocean after his sneak peak of the song “Memrise” last November. As someone who enjoys boy bands and the occasional bubblegum pop, One Direction will be releasing a new full length album, and there are rumors that it will be their last (excuse me while my inner fan girl dies a little…) But they aren’t the only boy superstars who are coming back this year. Justin Bieber has been dropping many hints to his fans via Twitter, Instagram and even his new favorite social media app, Shots. Signs are leading up to a release sometime in the spring of 2015 with a new and different vibe. Hopefully releasing and getting back to his music roots will keep him out of trouble. As for some new upcoming artists to look out for… Hozier is really a talented artist who has just hit the radio with “Take Me To Church,” but I have a feeling his self titled album will only get more popular through the year. Halsey, a young 20 year old, just released in an EP entitled “Room 93” and sold out a spring 2015 tour in less than an hour. She has an alternative/indie vibe to her voice with some good bass underneath. If you like Ellie Goulding, Lorde or The 1975, you will most definitely enjoy her music. Last, but not least, George Ezra is a British artist who will be making more and more appearances in American throughout 2015. His song “Budapest” has started hitting the radio, and once you hear it, you just want to hear it again. That’s just a few albums and artists to look out for this year in the music world. What albums or new music are you hoping for this year? Let us know on our Twitter or Facebook page! upcoming artists to look out for…Hozier is really a talented artist who has just hit the radio with “Take Me To Church”, but I have a feeling his self titled album will only get more popular through the year. Halsey, a young 20 year old, just released in an EP entitled, “Room 93” and sold out a spring 2015 tour in less than an hour. She has an alternative/indie vibe to her voice with some good bass underneath. If you like Ellie Goulding, Lorde or The 1975; you will most definitely enjoy her music. Last, but not least, George Ezra is a British artist who will be making more and more appearances in American throughout 2015. His song “Budapest” has started hitting the radio and once you hear it, you just want to hear it again. That’s just a few albums and artists to look out for this year in the music world. What albums or new music are you hoping for this year? Let us know on our Twitter or Facebook page!